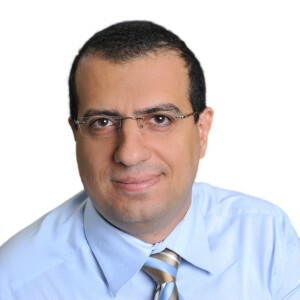 Dr. Botros is a Principal Hydrogeologist/Engineer with more than 14 years of experience in numerical simulation of groundwater flow and contaminant transport through saturated and unsaturated media. His expertise includes remedial design of contaminated groundwater systems, site characterization, statistical and geostatistical analysis of field and laboratory data, and optimization and uncertainty assessment of hydrologic parameters and conceptual models. He is proficient in many available modeling software programs, including MODFLOW, MODFLOW-SURFACT, MT3D, PHT3D, MODPATH, AQTESOLV, SEAWAT. HYDRUS, and PEST. He is also proficient in quantitative analysis using statistical and geostatistical approaches, FORTRAN and MATLAB programming, ArcGIS mapping, and Leapfrog Hydro as a 3-D geological modeling tool. Dr. Botros serves as the technical lead for projects for county, state, and federal regulatory agencies; energy and mining companies; water providers; water districts; and private parties. Examples of past and current clients include the U.S. Environmental Protection Agency (EPA); U.S. Department of Energy (DOE); New Mexico Environment Department (NMED); Texas Water Development Board (TWDB); Nevada Division of Environmental Protection (NDEP); Colorado River Municipal Water District (CRMWD); Albuquerque Bernalillo County Water Utility Authority; City of Rio Rancho, New Mexico; Freeport McMoRan, Inc. (FMI); Inyo County Water Department (California); Padre Dam Municipal Water District (California); and University Lands (Texas). Botros, F.E., N.Blandford, C.Wolf, and B.Salvas. 2015. Groundwater Flow and Geochemical Modeling to Support Mine Closure and Permitting. Modflow and More Conference. Golden, Colorado, June 1-3, 2015. Botros, F.E., T. Harter, Y.S. Onsoy, and T. Ginn. 2012. Richards equation-based modeling to estimate flow and nitrate transport in a deep alluvial vadose zone. Vadose Zone Journal, v. 11, vzj2011.0145, doi:10.2136/vzj2011.0145. Stephens, D.B., F.E. Botros, S. Helenschmidt, P. Quinlan, and D.W. Davis. 2012. Rising groundwater: unexpected consequences downgradient of a freeway expansion. National Ground Water Association Ground Water Summit, May 6-10, 2012, Garden Grove, California. Botros, F.E., J.L. Wilson., J. Cherney, and D.B. Stephens. 2012. Model telescoping: From a regional to a local scale. Groundwater Association of California 21st Annual Conference and Meeting, October 3-5, 2012, Rohnert Park, California. Botros, F.E., D.B. Stephens, S. Helenschmidt, W. Casadevall, P. Quinlan, and D. Davis. 2012. The importance of hydrogeologic characterization and analysis to avoid off-site impacts in highway construction. Geo-Congress, Oakland, California, March 25 -29, 2012. Harter, T., A. O’Geen, P. Hemes, F.E. Botros, V. Bullard, G. Weissmann, and J. Hopmans. 2010. Nonpoint source pollutant transfer across deep vadose zones—A multiscale investigation to inform regulatory monitoring, assessment, and decision making. Report submitted to Kearney Foundation Project (2007 – 2009). Botros, F.E., T. Harter, Y.S. Onsoy, M. Denton, A. Tuli, and J. Hopmans. 2009. Spatial variability of hydraulic properties and sediment characteristics in a deep alluvial unsaturated zone. Vadose Zone Journal, 8:276-289. Botros, F.E, A. Hassan, D.M. Reeves, and G. Pohll. 2008. On mapping fracture networks onto continuum. Water Resources Research, 44, W08435, doi:10.1029/2007WR006092. Harter, T. and F.E. Botros, 2008. Effect of hierarchical, multi-scale heterogeneity on long-term nitrate transport in a deep vadose zone. American Geophysical Union (AGU) Fall Meeting, San Francisco, California, December 15-19, 2008. Botros, F.E. and T. Harter, 2008. Modeling flow and nitrate transport in a heterogeneous vadose zone: Comparison of three approaches. Presented at the Geological Society of America (GSA) joint annual meeting, Houston, Texas, October 5-9, 2008. Botros, F.E. and T. Harter. 2008. Modeling flow and nitrate transport in a deep alluvial vadose zone: Different approaches for characterizing subsurface heterogeneity. Presented at the Computational Methods in Water Resources (CMWR) XVII International Conference, San Francisco, California, July 6-10, 2008. Botros, F.E., Y.S. Onsoy, and T. Harter. 2008. Long-term nitrate leaching in a deep alluvial vadose zone: Flow and transport modeling. Presented at W-1188 Soil Physics Technical Committee Annual Meeting, Desert Research Institute, Las Vegas, Nevada, January 2-4, 2008. Botros, F.E., A. Hassan, and G. Pohll. 2007. Block-effective dispersivity in heterogeneous media: Effects of porosity and distribution coefficient variability. Presented at the International Symposium on Technology and Society, University of Nevada, Las Vegas, June 1-2, 2007. Hassan, A., F.E. Botros, D.M. Reeves, and G. Pohll. 2006. On the continuum representation of the fracture networks. Presented at the American Geophysical Union (AGU) Fall Meeting, San Francisco, California, December 11-15, 2006. Botros, F.E., A. Hassan, and G. Pohll. 2006. Assessment of hydraulic conductivity upscaling techniques and associated uncertainty. Presented at the Computational Methods in Water Resources (CMWR) XVI International Conference, Copenhagen, Denmark, June 19-22. 2006.